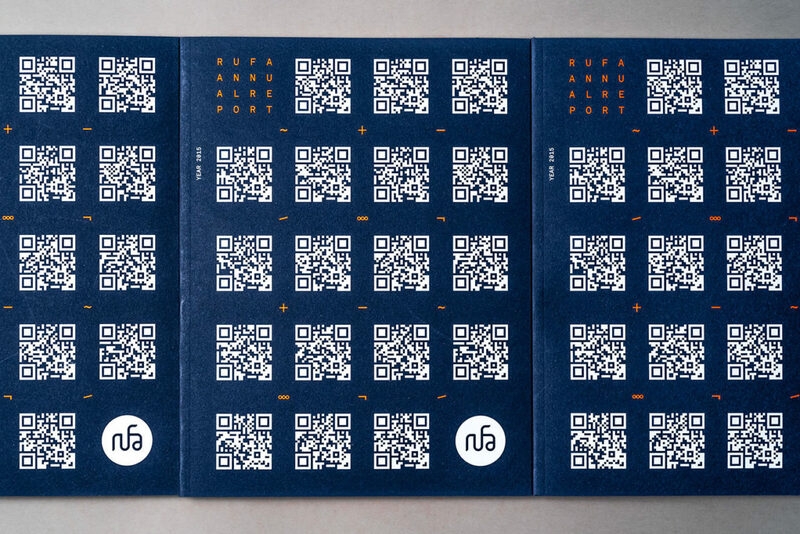 The RUFA, Rome University of Fine Arts, is an advanced professional training institute, as well as a major center for culture and the arts in Rome. 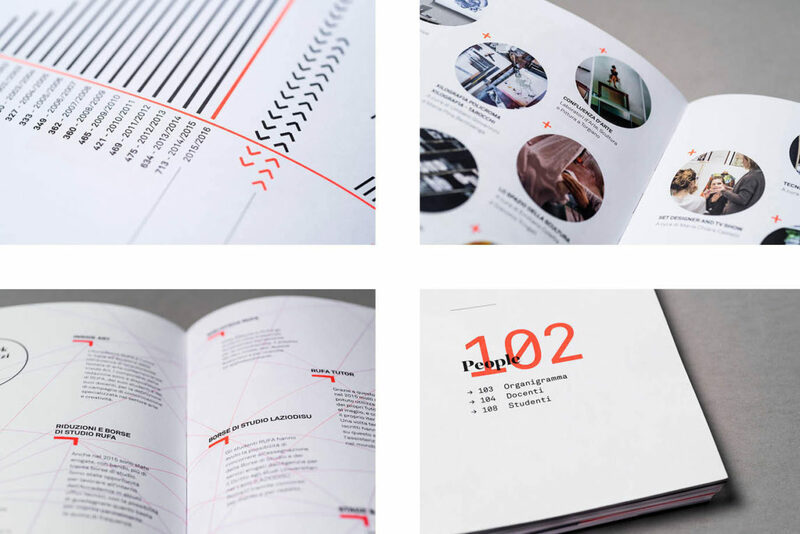 The 2015 Annual Report collects the most meaningful activities, moments and creations from last year. 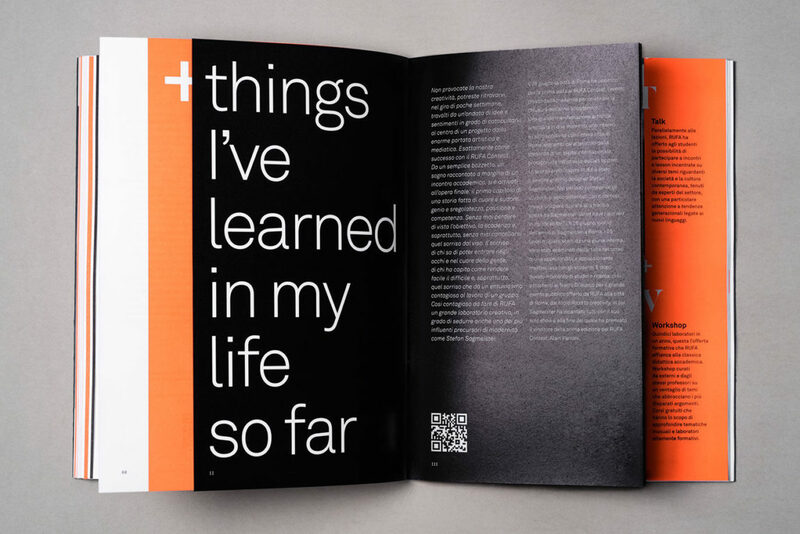 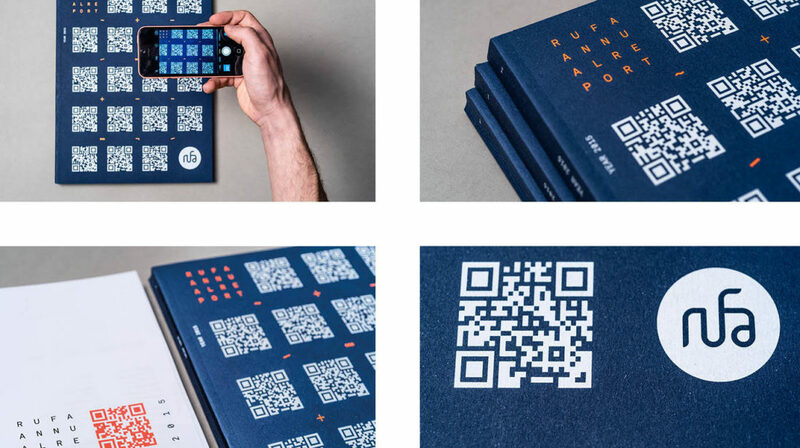 The Report’s cover puts together the technological and manual sides of the Academy’s modus operandi: QR codes recall external digital contents, becoming silk-screened graphic patterns on cobalt materic paper. 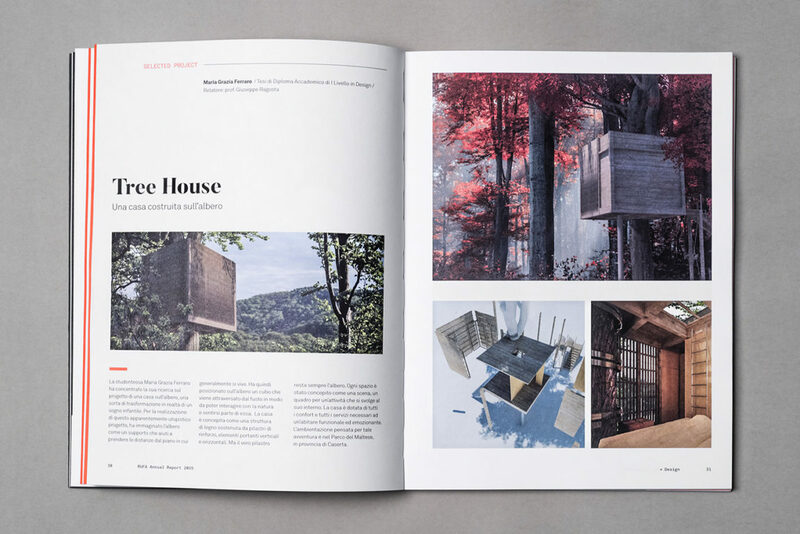 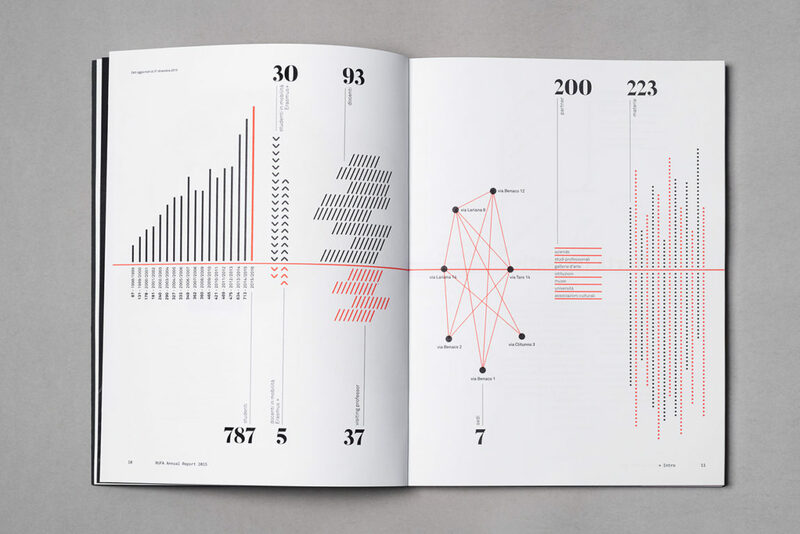 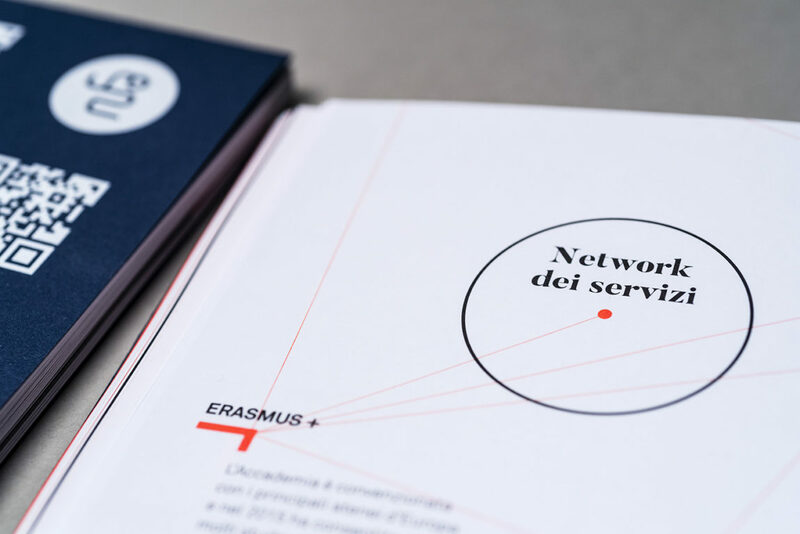 Inside the Report, data and figures are reported, along with a selection of the Academy’s best projects, a review of the main events and partnerships, and a complete list of the main personalities. 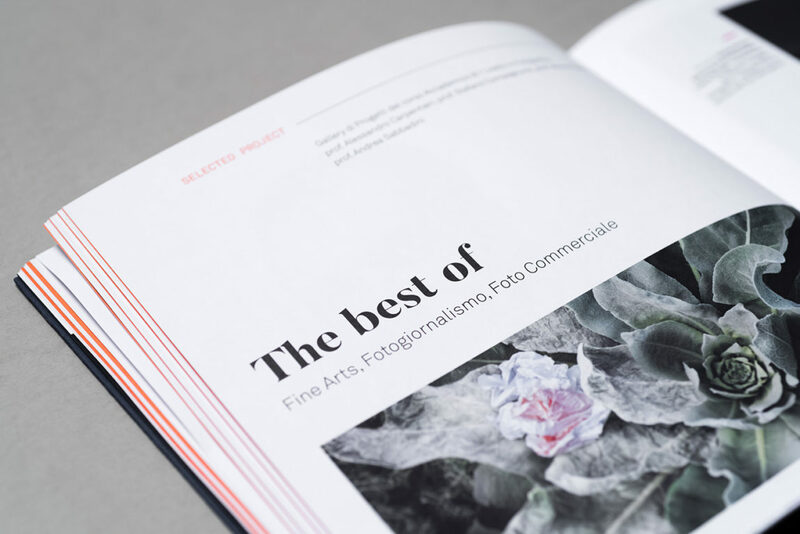 The creative dynamics and energy of the Academy are expressed by signs and elements printed in 811 Neon Pantone hue. 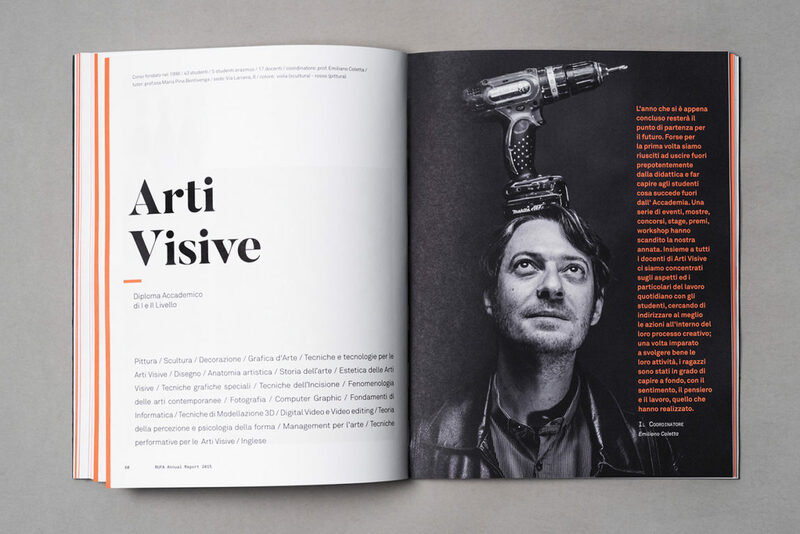 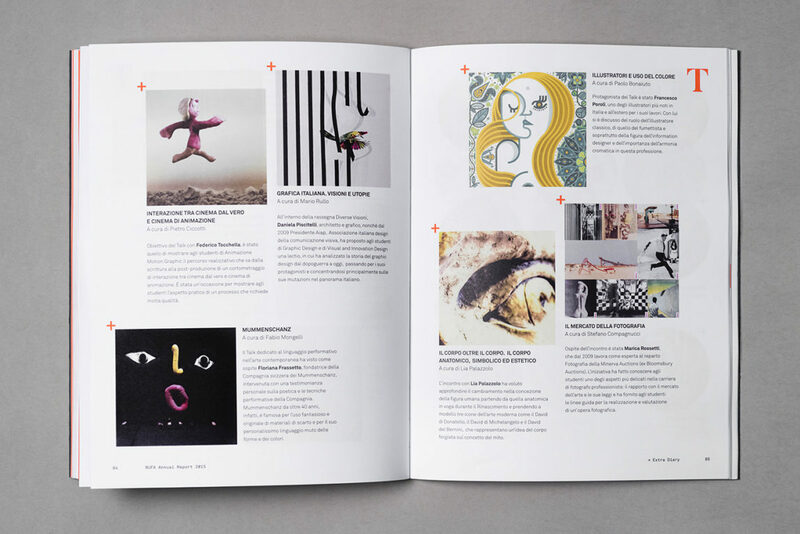 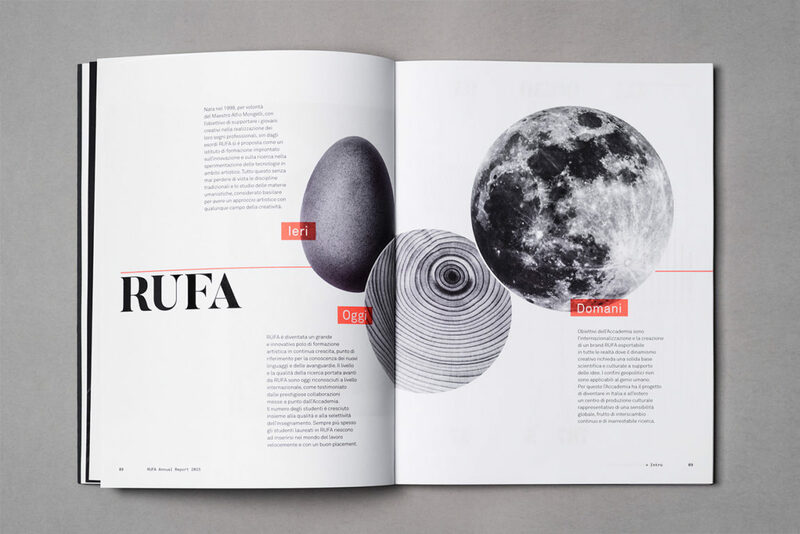 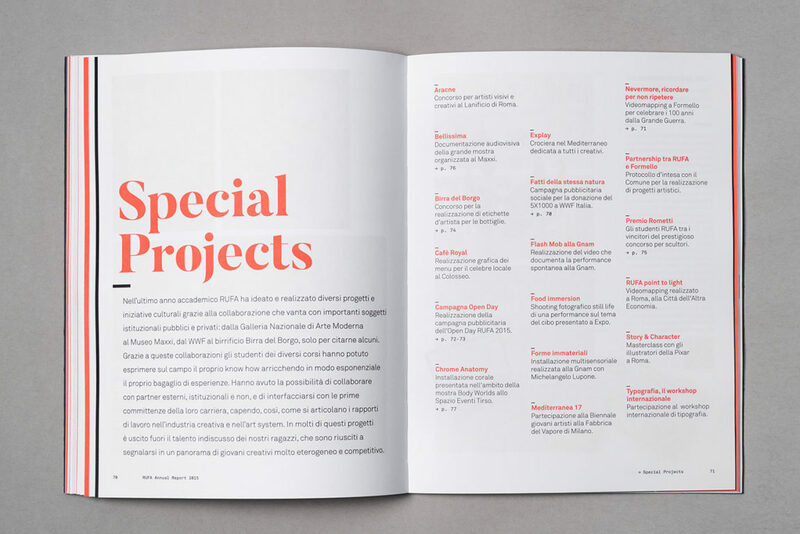 The insert dedicated on the RUFA Contest 2015, main event of that year, features different layout, size and paper type, as well as a black background and desaturated images.